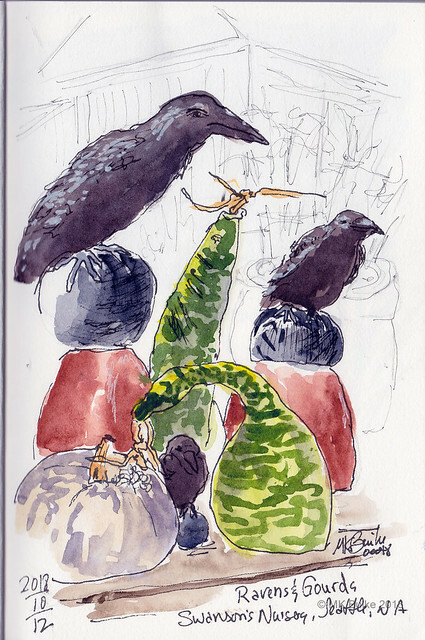 We went to my favorite place to sketch the pumpkins and fall colors: Swanson's Nursery. I didn't sketch any orange pumpkins, though. 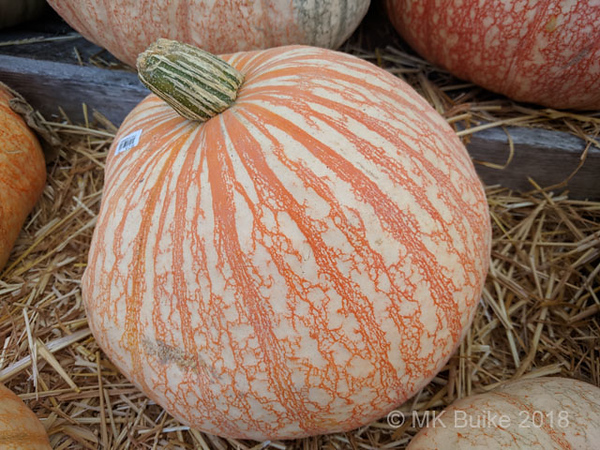 One of the odd pumpkins is this heirloom one with lacy color. A staff person told me its variety is called "One too many" referring to it's appearance of blood shot eyes after drinking too much! 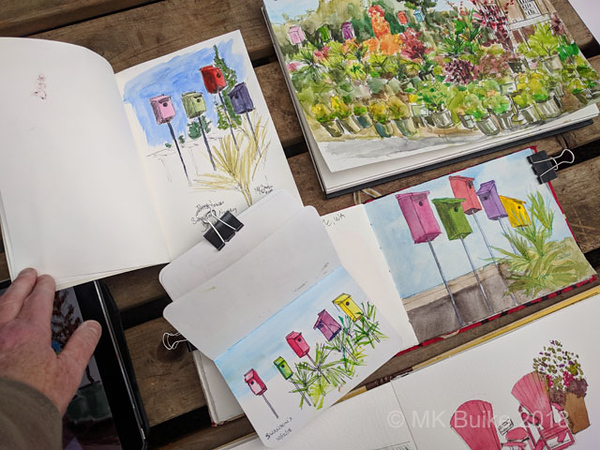 The throw down included 3 different interpretations of the colorful bird houses. Mine is upper left, Carolyn's lower right and one of the new sketchers to join us was Mary Kay, with the small one. 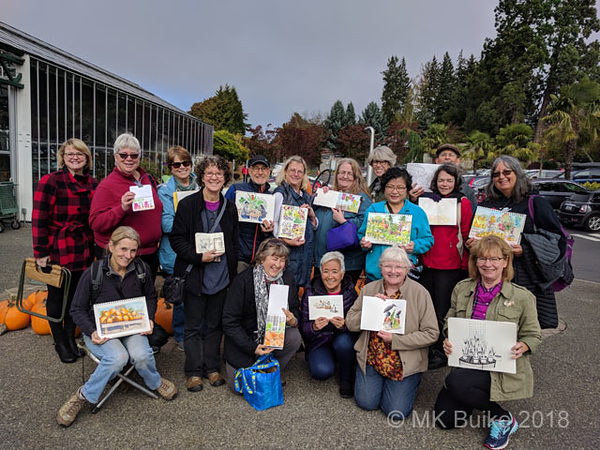 There were a few sketchers who were new to our group today. I almost always sketch something with these raven sculptures. Odd swan neck gourds and a white pumpkin were also part of the display. 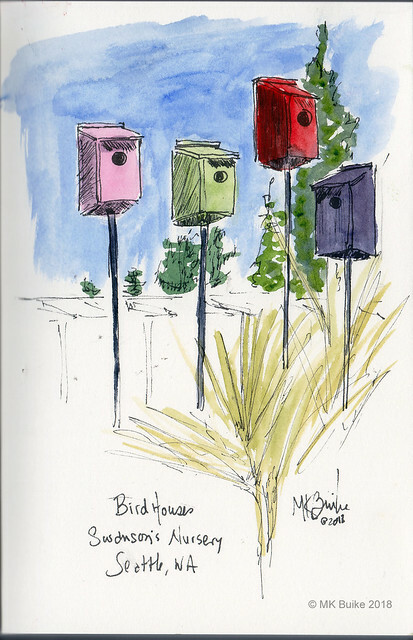 I was one of the three drawn to (so to speak) the colorful bird houses.